A brand logo is a symbol or graphic used by businesses, organizations and people to communicate an identity or promote a product, service or message. The Nike “swoosh” and McDonald's golden arches are two examples of well-established logos. Not everyone can afford a professional design job; even a small business can expect to spend more than $1,000 on a professional logo. Luckily, you can create your own brand logo for under $100, using Internet resources including online logo generators and desktop logo creation software. If you have graphic design experience and you know exactly what you want, you have a head start. Still, it can't hurt to check your ideas against what a logo generator recommends. Do an Internet search for “logo generators” and conduct a quick comparison of sites to find one that is easy to navigate and advertises logo files for under $100. Most sites make it simple and fast to move through the logo-design process, but you can take as long as you want shopping for designs, fonts, layouts and added touches. Choose an image from the site's catalogue. There are hundreds to choose from, typically sub-divided by industry. Consider your business and the differences between graphics suggested for a company that is high-tech and innovative versus one that is creative or people-oriented. Try a few out. You can always click back and switch your selection. Add your company name. If you don’t have one, brainstorm ideas, trying out different combinations of words. Get input from family, a friend or a work associate. Maybe they’ll come up with that perfect name, after seeing what you’ve generated so far. Customize your logo by playing with fonts, size, color and layout. 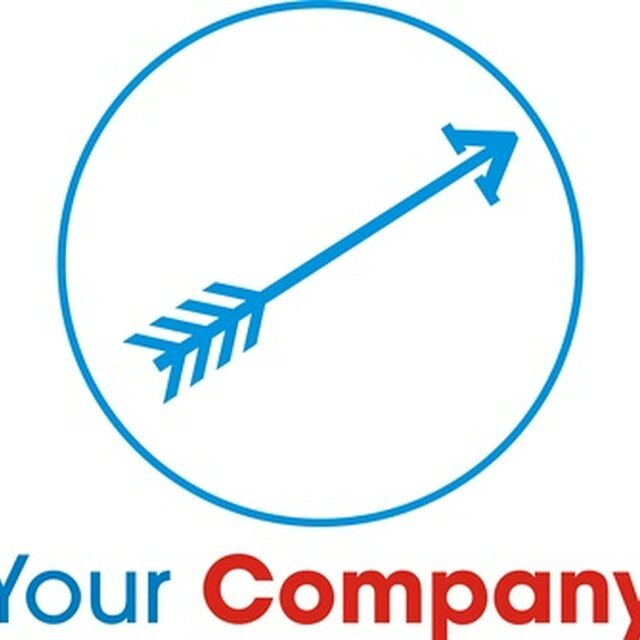 You may want to look at some of the sample business logos likely posted on the site, as a jumping-off point for ideas. If you want to roll out your logo across other marketing materials, such as business cards, stationery or brochures, select these options. There will be an additional charge, but business cards and logo together should still run you around $100. Brochures and letterhead will be more expensive. Consider the logos and branding of other businesses in your industry, and how you might set yourself apart without alienating or confusing consumers. The goal is to stay consistent with the industry and what seems to work, but also follow your intuition and any strokes of creative marketing genius. Some logo generators use clip-art. Clip art cannot be copyrighted, so this is something to keep in mind, should you decide to take your business to the next level. If copyright is important to you, make sure you are purchasing a logo that is "predesigned" and sold only once, so that no one else can use the same logo. Try not to make your logo or business card too "busy." Less can be more. "White" space or open space and simple fonts without elaborate shadow and embossing may be more effective. Curtoons: How Much Is a Great Logo Worth? Jennifer Parks has been writing professionally since 1999. She worked for Sun Media and CanWest as a lifestyles reporter and columnist and is now a freelance writer and author living in Edmonton, Alberta, Canada. Parks holds a Bachelor of Arts in cultural studies from McGill University and is a certified yoga instructor.